Depression and anxiety are often helped by progesterone, as a mood enhancer, or a combination of progesterone and oestrogen which is recommended by bioidentical expert Dr Jeffry Dach. So why would you choose Botox to help with this distressing condition when it is known to have many side effects whereas bioidentical hormones have none? 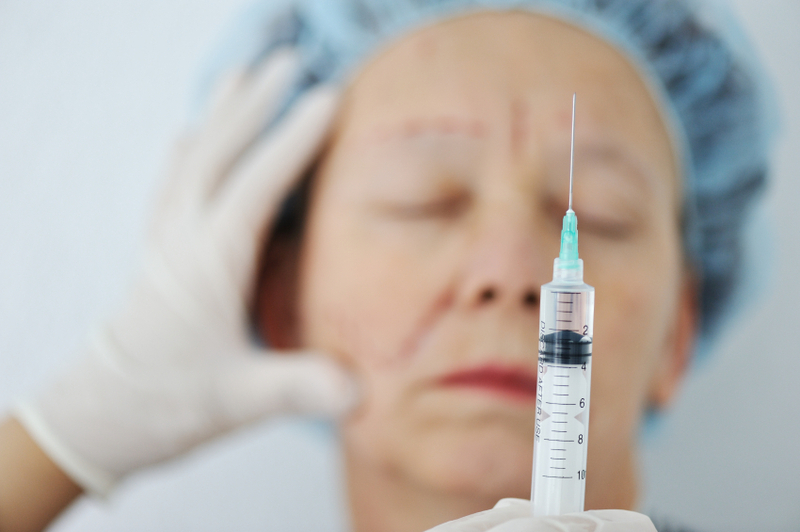 A new study published in the Journal of Psychiatric Research reports that patients injected with Botox demonstrated substantial improvement in their depressive symptoms. But just what is Botox and why would it help? Botox is a drug made from a toxin produced by the bacterium Clostridium botulinum. It is the same toxin that causes a life-threatening type of food poisoning called botulism. The toxin blocks nerve activity in the muscles, causing a temporary reduction in muscle activity. This is what causes the effect of the ‘Botox face’ where fluidity and flexibility of expression are reduced. Medically, Botox can be used to treat cervical dystonia, muscle spasms in the arms and hands, severe underarm sweating (hyperhidrosis) and also to prevent headaches in adult patients with chronic migraine. However it is most popularly used as a treatment for facial wrinkles. If used in high doses,it can be harmful to the human body and certainly some of the cases of overuse have not improved the appearance in many cases. In the largest randomized, double-blind, placebo controlled study to date on the effect of OnabotulinumtoxinA (Botox) on depression, researchers found that more than half of subjects suffering from moderate to severe depression showed a substantial improvement (greater than or equal to 50% of baseline) in their depressive symptoms. The study was the largest of its kind, but still only very small scale as it consisted of only 74 subjects who were injected with a single treatment of either onabotulinumtoxinA (OBA) or a placebo to the corrugator and procerus muscles between the eyebrows. Results showed that depressive symptoms in the OBA treatment group decreased 47 percent after six weeks, compared to 21 percent in the placebo group. There is no information on what occurred after 6 weeks so we don’t know if there was continuous improvement or a relapse. An interesting view of this is that this new research supports a much earlier facial feedback theory of Charles Darwin and William James which suggests that facial expressions influence mood. In other words smile and you will feel happier, frown and you feel worse. This supports the view of Dr. Eric Finzi, co-author of the paper and who first reported that inhibition of frowning by facial injection of OBA could help depressed patients in a pilot study published in 2006. One factor that is often mentioned by women using progesterone is that it has helped lift their mood and certainly that is one of the known effete of progesterone. However in recent years bioidentical doctors in the USA have been looking at creams that combine both progesterone and oestrogen as these seem to have greater effect on depression and anxiety than progesterone alone. The drawback with any drug such as Botox is that it has not been around long enough to assess its benefits versus risk, but we already know of the impact of its side effects. The same is true of HRT which was hailed as saviour when first launched, but now its use is not recommended for more than 5 years due to the known risks of cancer and heart disease. Bioidentical hormones have been in use by women now worldwide for many years with no reported side effects and many benefits including protection from breast and endometrial cancer, heart disease, strokes and osteoporosis. Other key elements when treating depression are good nutrition, exercise and social contact with others and medication where appropriate. That and a bioidentical combined cream seem a safer, and less painful, way to help beat depression than a needle between the eyebrows.